When the new study design was developed for the Victorian Certificate of Education curriculum in 2015, Education Officer Anthony Fernando saw an opportunity. Anthony, who works for Ecolinc’s Science and Technology Innovations Centre, needed an updated physics program for the sustainable learning facility, and discovered the hands-on practice of thermal imaging technology. 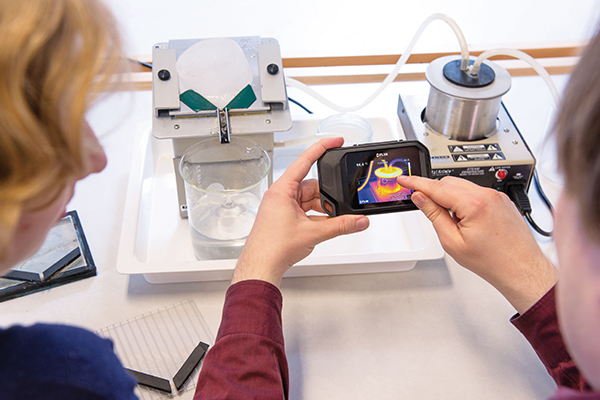 To help provide students with an engaging lesson, Ecolinc purchased FLIR’s C2 Educational Kit, which includes a thermal imaging camera and software, as well as a range of practical science exercises. The Department of Education and Training Science Specialist Centre runs Science programs for primary to Year 12 schools, and is based at Bacchus Marsh College, located northwest of Melbourne in the town of Bacchus Marsh. Students from Victorian schools can visit the centre for field trips and they also provide outreach and online programs. “When we viewed the technology at the 2015 annual conference of the Science Teachers’ Association of Victoria at La Trobe University, I immediately thought it would be perfect for our centre,” Anthony explains. Thermal imaging allows heat levels to be detected by measuring infrared radiation, producing images of that radiation called thermograms. Because human beings can only feel heat rather than seeing it, infrared radiation is measured through thermal imaging technology. Anthony says the technology is predominately being used by Year 11 students to help students understand how heat flow is managed in building design, including the insulation of glass and rooms. It is also being used for several sustainability-themed programs from Years 9 to 12. “Previously, we had a set of point and click temperature reading devices, but I thought with thermal imaging we could give students a more detailed picture of how the technology is used in the real world,” he says. Anthony says that FLIR’s 60×80 pixel image allows for up to 4800 temperature readings, compared to one reading in a standard temperature test. The system is capable of measuring readings from -40 to 150°C. A colour-coded temperature scale shows the distribution of temperatures from the hottest to coldest spots in view. The scale allows the viewer to quickly assess hot from cold regions on a thermogram based on the colour. The thermogram can be analysed in more detail by placing one of various tools, such as a spot meter or an area onto the image. “When used within a building or enclosure, FLIR cameras can identify gaps in insulation, drafts and see where that heat is being dissipated,” he says. Anthony says students use the cameras to explore Ecolinc’s Environmentally Sustainable Designed (ESD) building, and are able to verify that the building is doing what it should do, or identify places where it may not be functioning as designed. The students are also looking at model housing kits, and the heat sources and transfers inside and outside of the model, he adds. “There’s an almost limitless number of simple experiments you can do and they all tell students about the heat transfer process, so it’s a way of visualising how heat is being transferred,” Anthony explains. As well as qualitative experiments, the cameras can be used to make accurate temperature readings. Ian Scollay, Head Teacher (Science) at Baulkham Hills High School, an academically selective high school located in Sydney’s Hills District, is using the FLIR system in Physics and Biology. The system is being used across the school’s science lessons from Years 7-12. Ian purchased the kit 18 months ago and says one of his favourite experiments is using the technology to measure heat sources within motors and generators in Higher School Certificate Science. 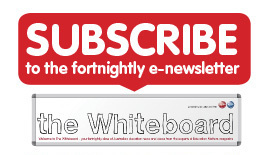 “One of our experiments in Physics involves looking at the efficiency of an immersion heater and looking at how the heat flows into, and through, the water. In this experiment, students are able to look at some of the conduction currents that are associated with the heating of the water from a coil carrying an electrical current,” he says. Ian says FLIR’s C2 Educational Kit has been an eye opener for students, allowing them to observe the infrared end of the electromagnetic spectrum and see how materials operate at different temperatures, as well as how fast heat is being transferred. He says students can examine the heating of different materials, such as copper and zinc, and compare that to a piece of glass, for example, and visualise the heat travelling through the material. Ian says the camera permits the collection of quantifiable data which forms the basis of good discussion afterwards. He says he is then able to go back and ask students to investigate how they can reduce friction and heat loss, modifying the experiment to yield greater efficiencies. The physics of the infrared spectrum can also be applied to biological sciences, by demonstrating to students how airport security might use infrared to measure the temperature of passengers as an indicator of possible infection. This was highlighted by a classroom lesson that explored the recent control of infectious diseases, including severe acute respiratory syndrome (SARS), spread during overseas travel. 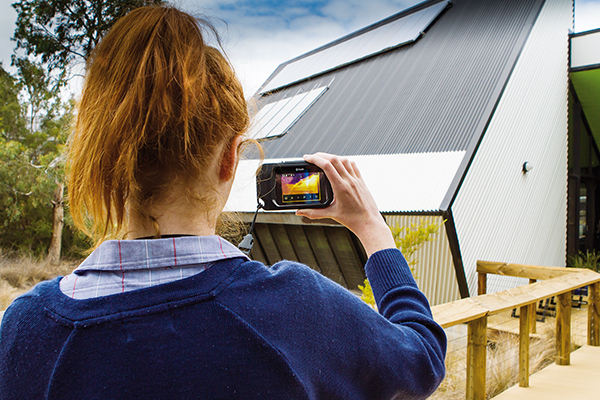 Sean Towner, Sales Manager at FLIR Systems Australia, says that with the school curriculum being slanted heavily towards Science, Technology, Engineering and Maths (STEM), thermal imaging technology is becoming a staple item in many classrooms.